Discussion in 'Hybrid Z cars' started by Jay., Sep 4, 2017. 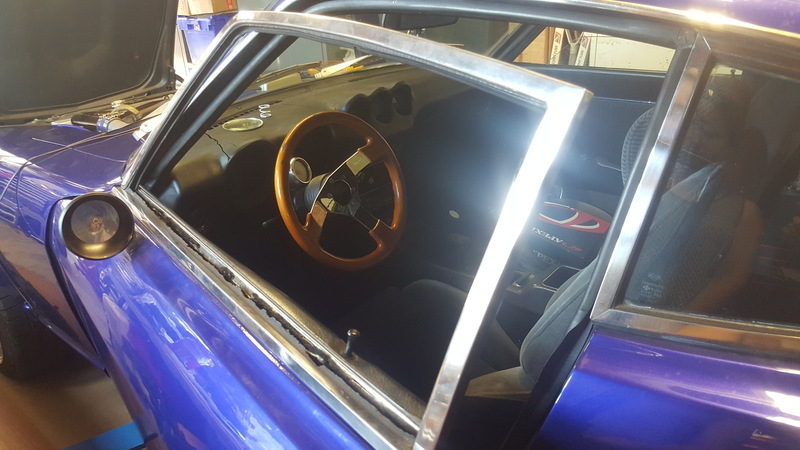 I've recently purchased my first 240z, and figured I'll use this section to document progress on it as it will be modified. 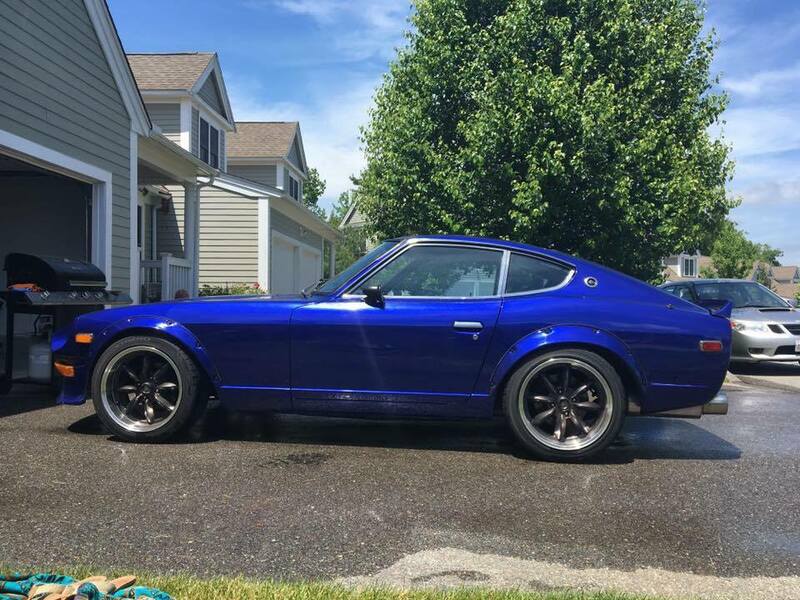 I've been searching for a Z for about 3-4 years now, although it's only recently where I've been in a 'real' position to buy one. I've had alerts up on most of the forums and followed the classifieds section pretty closely. 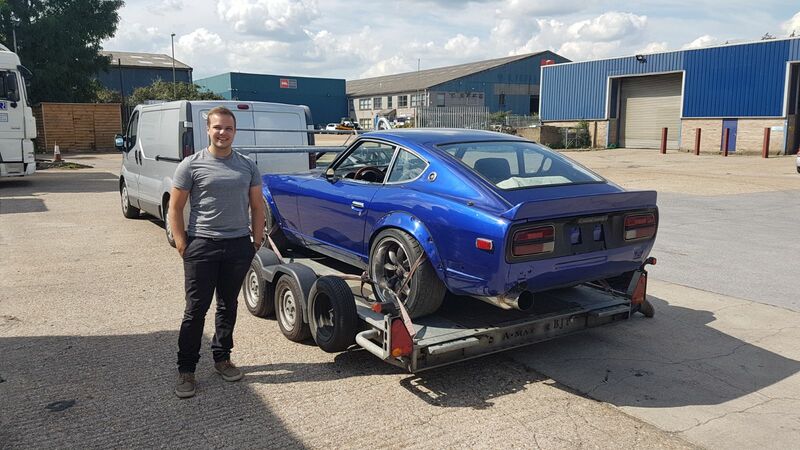 About 6 months ago I found what I thought was the 'perfect' car, I looked at finances and managed to secure some cash, and followed by talking to my first "serious" seller - a guy over on HybridZ. 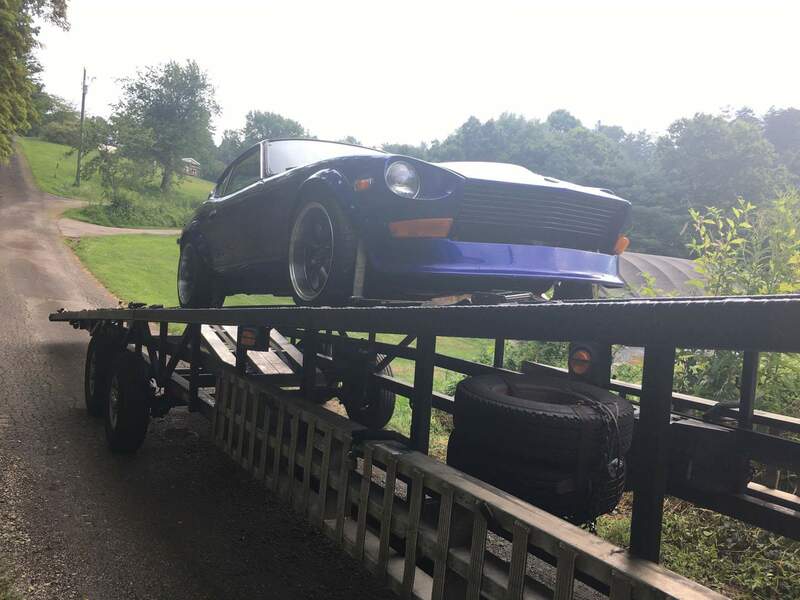 Unfortunately, the prospect of him shipping the car from the USA over to the UK was too much, and he ended up selling to another buyer. I figured at this time I'd need to be fully clued up on how to do the importing as I need to make it as hassle free for an international seller as possible. In the end, I found a good contact at CFR Rinkens who are a large International Shipping Company. I decided to go with CFR as they offered an escrow service, which meant the seller would effectively be dealing with a US buyer (on my behalf) and they would also ensure the car was as described, with the correct paperwork and documentation (which is difficult, if you don't know each states laws). 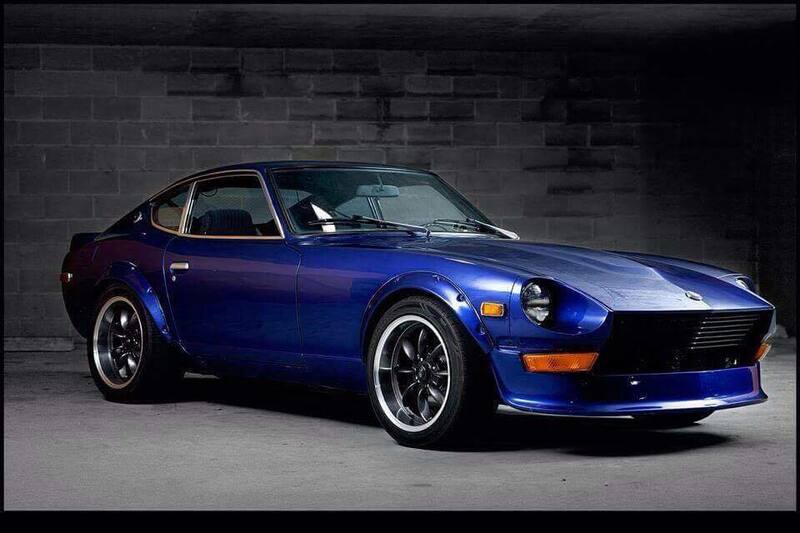 This opened up the possibility of buying a Z in any state. 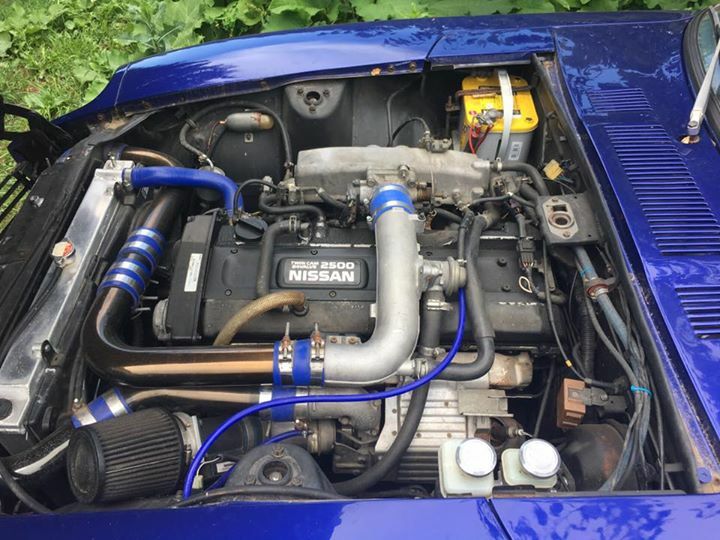 I went through a few different modified Z adverts, speaking to a few on the phone, but none quite fit what I was looking for. I couldn't afford a fully 'sorted' one, as they are fetching high money, but I also didn't want to end up with something with a tonne of work needing doing to it. 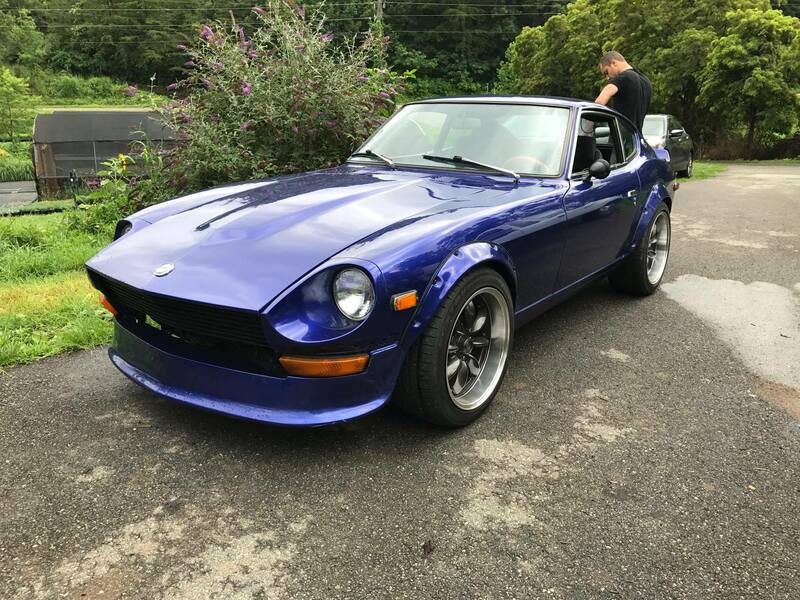 Eventually I got in contact with someone who was selling their 1972 240z, which a previous owner had swapped an RB25DET engine in. We agreed a deal and I began arranging shipping. During this time, the seller put a "What's it Worth" advert up on one of the Facebook groups which I can understand, but it was a little disappointing as we had agreed a price, a date of purchase, etc, and I was under the impression the deal was 'done' - I had even offered to send a monetary deposit, which he declined saying word was enough. Through the post, several buyers chirped up and tried to buy the car - fortunately for me, cash is king and I was able to have the car bought the first week he had off work. 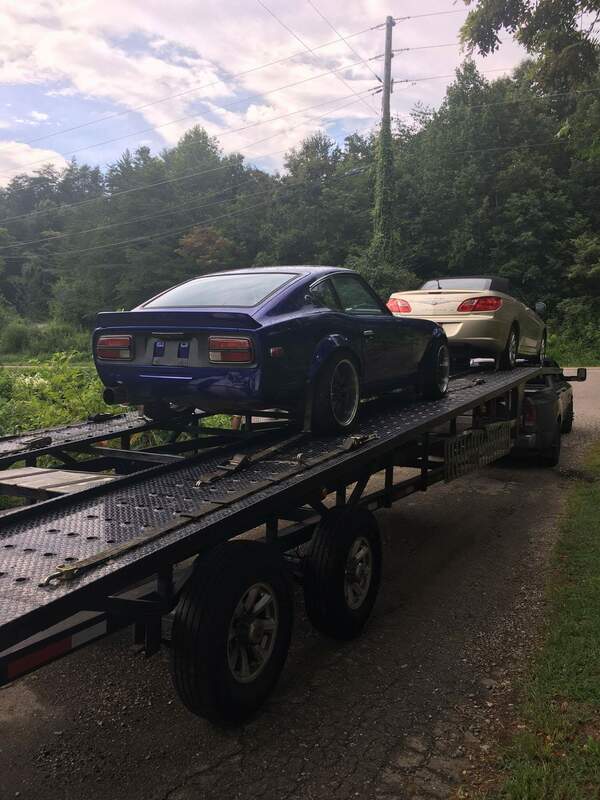 My brother popped down from Detroit to North Carolina to view the car, and the transporter was there the following working day. 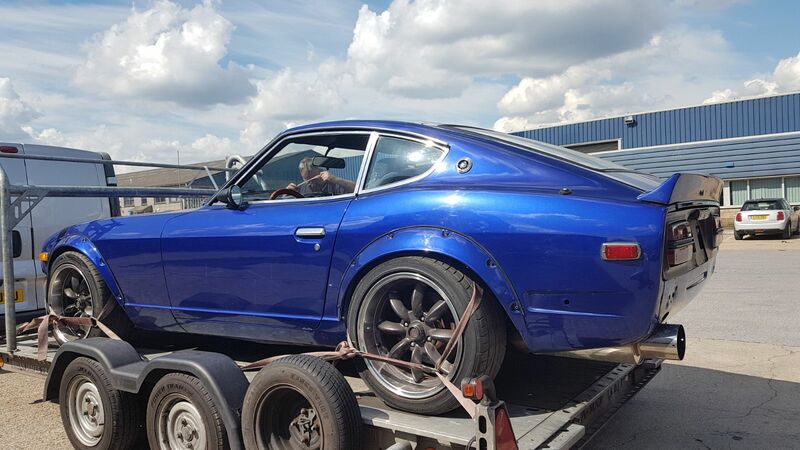 I originally looked into importing the car via container, and doing each individual step myself - flying out to buy the car, transporting it by driving it to the docks, etc etc, but in the end I opted to pay the "full service" as it really is complicated. Thankfully, this resulted in the importing of the car itself was very straight forward for me. I paid CFR to do the escrow, paperwork, transportation and loading of the vehicle using the RO-RO service. Once it entered UK shores, another company (Autobox) did the offloading, customs, paperwork etc on my behalf. I collected the car in Southampton using a friends trailer, and simply drove off with my new pride & joy. I may have saved a few £100 by doing it myself but the ease of which these companies dealt with the logistics made the process a doddle, and I'd not hesitate to use them again. In total, the car was picked up 17 July and I had possession of it in the afternoon of the 1st September. If anyone wants to pick my brains, or wants the name of the consultant I used, please drop me a PM and I'm more than happy to help! Great introduction and useful info. about importing from the US (getting more common with these cars). I hope it all works out for you - it looks a decent car too. What is left to do? Great looking colour. 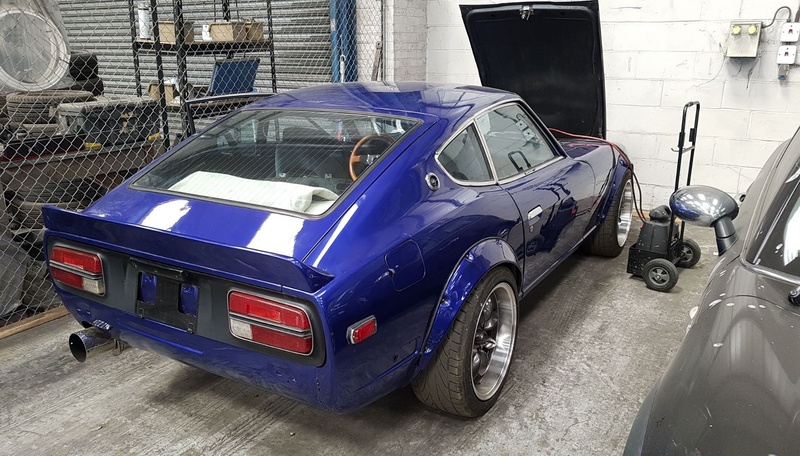 Converting to RHD or keeping it as it is? I agree, there are a lot of cars in the US which would be great to import, but the process is quite daunting. Hopefully I can help some people make the leap like I have. Has anyone got a recommendation on where to buy the window rubbers that go around the doors? Mine have cracked pretty badly and will need replacing. The channel seal that goes inside the polished steel upper? Motorsport Auto has them. They have the door seals too, although many report them as not fitting great and making the door hard to shut. There's a thread somewhere about a kia door seal that fits I think. I've always used Kia sportage door seals. I think its the rear's you need. You have to get the corner just right or it whistles. I've been a little intermittent in logging in the past month. Just seen your post. A good read and a nice looker you have there. Gosh, I thought my hunt was long. Hats off to you for perseverance. John have you got a link to where you buy them? I could do with some. That's the one, the ones for that the windows go up/down on. I realised that "door seals" are very ambiguous. Hopefully you can see my issue there! Would that be for the full door seal? If so, I might replace that for good measure.. Thank you! Certainly a long time coming! In typical fashion, another car has popped up that has also taken my fancy... but more on that later maybe! If its the piece of rubber running down the outside of the window that comes attached to the chrome trim. AFAIK that is unobtanium new. Haven't seen go second hand in a while either. That's me down some dollars then. I missed these when I was looking!